Early on, personalization just meant using the email subscribers name in the body content or subject line. But things have gotten much more sophisticated than that. For a company like Movable Ink, which we profiled recently, personalization means dynamic content at the time of open which incorporates the time of day the email is opened, the location the email is open, the weather, and even updated rewards points and other data. 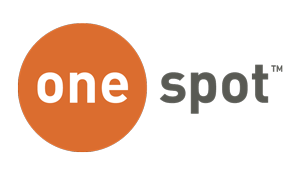 OneSpot, the Austin based technology company we’ll be unboxing today, takes a different approach and calls what they do "Individualization" rather than personalization. Their sweet spot is working with companies with large inventories of content assets and using machine learning to present each individual recipient specific content that is uniquely chosen based on the recipient’s past history. In other words: you are served content that you are most likely to engage with. .
OneSpot does not send emails themselves. They integrate their individualization platform with top ESP’s. Their platform works for individualizing both web content and email, the email product being branded as OneSpot InBox. OneSpot sees 3 main benefits from their technology. The first is a gain in operational efficiency. Marketers can “set it and forget it,” setting up the business rules for delivering content once and just allowing machine learning and historical data to curate the content from then on with no more setup required. The second benefit is the ability to leverage existing content to increase engagement and third is the boost in performance and click throughs by presenting the subscriber with content they are most interested in. OneSpot typically sees a 20%+ increase in their clients click-to-open rate and a 90% reduction in production time needed to create the email. Integration is fairly simple. Integration is a OneSpot tag added to the header of the client’s website. Typical time from contract sign to launch is about 4-6 weeks. Once the tool is set up, it is fairly self contained. The main tool interface is basically on the reporting side of things. OneSpot’s Insights product provides a visual interface into the type of content assets that the client owns. In the Content Browser, you can view all of the available content, or just the Recommendable content. “Recommendable content” is the content that meets certain business rules that the client sets up. For instance, a business rule might be: show only content created in the last year. A second layer of business rules can be added to customize specific email sends, such as content on a specific topic, date range, etc all configurable by the client. One of the interesting features of OneSpot is its ability to recognize images in photos. So if you wanted to send out an Egg recipe newsletter, the product can recognize any asset that contains the picture of an egg, with no tagging or metatags necessary. Clients can review the content that will be sent with details on the date it was created, the author, number of visitors who have viewed the asset, estimated reading time, actual average reading time and traffic source. The InBox Wizard lets you preview content that will be sent based only on a selected topic or featured article. (By default, the content that is displayed is not influenced by any specific subscriber data, but a sample content set for a specific subscriber can be viewed in the Strategy Tester which takes into account a subscriber’s actual history). By entering an article URL, suggested content appears in the InBox Wizard. The content can be further filtered, for instance to exclude all Valentines Day content after Valentines Day is over. The InBox Wizard generates code that integrates via the API into your ESP, so no additional coordination is needed at the ESP level. Anxiety around hitting the “Send” button is something every email marketer faces. OneSpot tries to help alleviate some of that anxiety by allowing the brand marketer to see samples of what recommended content could be going out to X number of random subscribers, or to target a specific subscriber to see what they might be getting once the email send button is pushed. The proof the product works is easily demonstrable through the interface itself. Using the InBox Dashboard screen, you can see results separate from your ESP report including how many unique combinations of content were sent out, the number of different assets used and results based on how much data the tool has on an individual subscriber. In a typical campaign, the response rate goes up dramatically based on how much data OneSpot has on a specific subscriber. To sum up: if I were using OneSpot on the Only Influencers newsletter, I could create an individualized section that showed articles from the OI blog archive that are related to the lead story for the week and each of those individualized articles would only be articles that you haven’t already read. Then I could create a separate section that only brings up articles on Newbie topics. OneSpot makes all that custom content available in my newsletter with no interaction or production time on my side. It is all automatic. 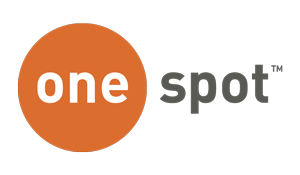 Onespot is priced as an annual license based on estimate email volumes and site traffic.